We wish to satisfy you the best while recovering your data. A key element of the service is of course the price. Despite of the cost of regular maintenance of our infrastructure, the renewal of our tools, spare parts not to mention labor specialist and highly qualified, we we are doing our best to maintain reasonable prices, price, according to our customers, "are well below the value of our data". Because the question is there: the value of your data. Prices necessarily depend on various parameters : type of failure, type of support, type of hard drive, O/S, capacity, time spend on the hard drive, etc. To give you an order of magnitude, prices remain within a range of 500 to 2000 euros for a hard disk, and from 1500 to 5000 euros for RAID system. Please contact us by phone and you will be informed specifically whichever your case. 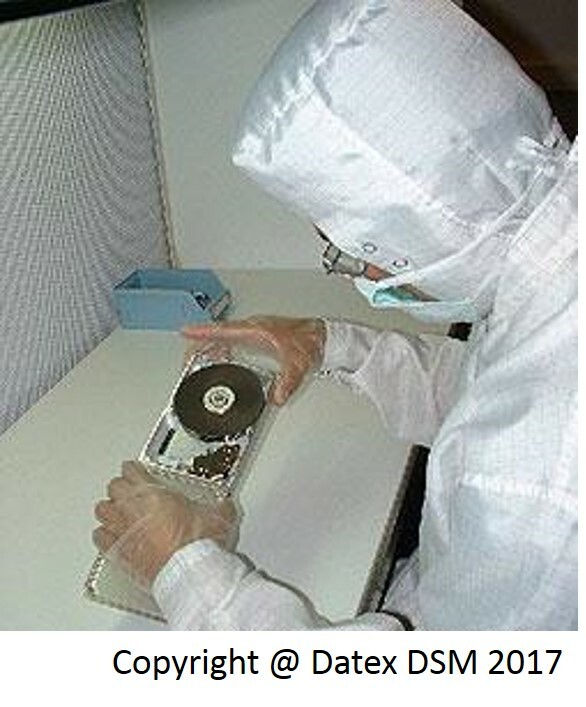 If you are interested in retrieving data in our laboratories, you will discover the steps in the section "Data recovery process"
We want to be as clear and transparent as possible. Also, once we have identified the problem in broad terms by phone, we will send you a contract stipulating a price range which corresponds to your case. You will have no bad surprise at receiving the invoice.